that comes with a gift card for your personalize message. We provide worldwide shipping to most countries in the world with FedEx International Economy courier service. We will deliver the products ordered to the shipping address provided upon ordering. Please note that we only deliver to residential and office addresses. We DO NOT deliver to P.O. Box addresses. Delivery to any third party address is NOT permitted or else the customer has to pay any additional charges imposed by the carrier. The standard delivery time will take 3-5 working days (upon payment confirmation), however we are unable to guarantee that all orders will be delivered within the stipulated time frame. Aurora Italia shall under no circumstances be liable for any loss, damage, expense or delay to the goods for any reason whatsoever when said goods are in custody, possession or control of third parties selected by Aurora Italia to forward, enter and clear, transport or render other services with respect to such goods. Each consignment note is insured up to USD1,000.00 only (US Dollar One Thousand Only) with the carrier in case the parcel is lost in transit. In the event of damages of or loss of product(s) during transit, we will not be held responsible for any values exceeding the insured amount. Therefore, should the total order value exceed USD 1,000.00, it is recommended that the ordered items be placed under separate consignment notes. All orders placed and confirmed by 0900 (GMT+8) will be processed on the same day. Orders placed and confirmed after 0900 (GMT+8) on Friday, Saturday, Sunday and Public Holidays in Malaysia will be processed on the next business day. Deliveries are made from Monday through Friday, except Saturdays, Sundays and Public Holidays and all deliveries arrangement are subjected to stock availability. During checkout, you may choose in-store collection at any of our designated collection outlets with FREE shipping charges. The order will be shipped within 5 working days. The customer will be notified upon arrival of the order. For verification purposes, customers are required to present their Identity Card (IC) to our representatives upon order collection. Customers are able to track the shipment at www.Fedex.com by using the Tracking ID provided by the carrier. The shipping charges will be calculated upon check out and the charges are payable by the customer. The shipping charges DO NOT include any duties and taxes that may be applied upon importation into the destination country. Customers agree to pay any such fees to the carrier upon the customs clearance on the goods. The rate charged for the shipping/delivery of your order is calculated according to the size, weight of the items, and the destination. Any discrepancy of order content or goods in a damaged condition received must be reported within 14 days from the date of invoice to enquiry@auroraitalia.net. All packaging (both outer shipping packaging and internal contents) must be kept in order to make a claim. If you suspect your goods have been lost, please contact enquiry@auroraitalia.net within 10 days of ordering. Email: enquiry@auroraitalia.net from 9am - 6pm (GMT+8), Mondays to Fridays (except Public Holidays in Malaysia). Aurora Italia will accept exchange within seven (7) days of purchase. This applies to all products except leather bracelets. Please present your original receipt as a proof of payment. Items that are returned for exchange must be in their original condition, unworn and in their packaging. All returned items will be reviewed by management before any exchange is approved. Exchange is only eligible for one replacement per purchase. Items sold are not refundable. Items can only be exchanged for products with same price or higher. An additional payment will be charged for higher priced items. Promotional and discounted items are excluded from Aurora Italia’s exchange policy. Exchanged items are required to exchange at the original kiosks. Except for defective items, Buyer can exchange the items at all kiosks. 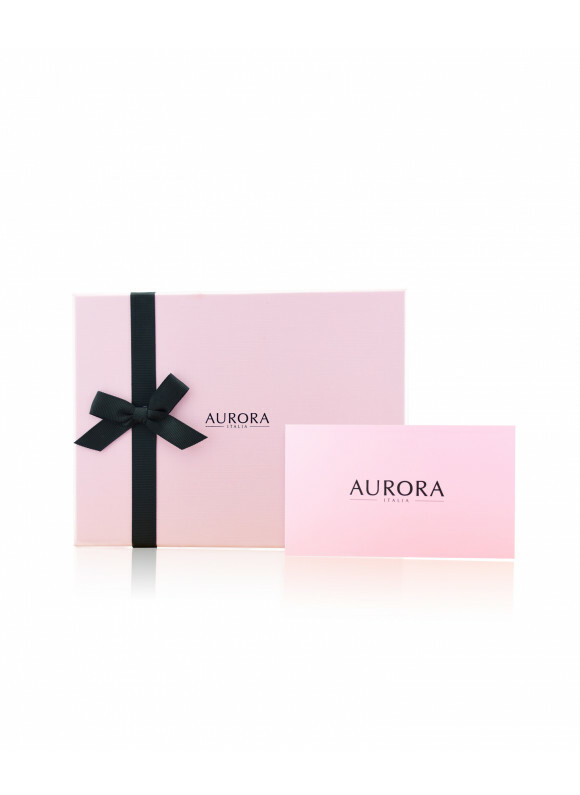 Items purchased from Aurora Italia’s website may be exchanged for the same item in a different size only, or if the original item is defective. Buyer will also need to provide a proof of original receipt. Buyer is responsible for the shipping fee sending to Plot 21, Technoplex, Medan Bayan Lepas, Taman Perindustrian Bayan Lepas Phase IV, 11900 Bayan Lepas, Penang, Malaysia. Aurora Italia will bear the shipping fee returning the items to Buyer. Six (6) months limited warranty from the date of original purchase on materials and craftmanship is only applicable for gold products and ten (10) days warranty for leather products. Sixty (60) days limited warranty on materials and craftmanship that contains stones and dangles parts. General wear and tear, misused, unauthorized modifications, or not following the care instruction are not covered under the warranty as specified by Aurora Italia. The warranty is void if counterfeit(s) of Aurora Italia product that damage Aurora Italia’s jewelleries were worn together with our products.